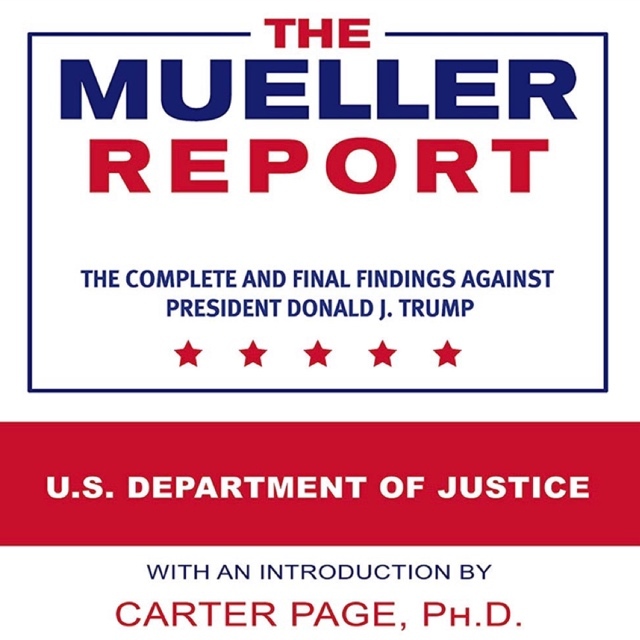 The highly controversial, and long-awaited Mueller Report featuring a shocking introduction by Carter Page, Ph.D.
Fifty years from now, American children will read about how The Mueller Report was a, if not the, defining document of our time. Quite often the history books gloss over the “uglier” parts of our past. Let this be one of those times when we choose to collectively remember, rather than forget, in the hopes of forging a brighter, stronger future for the American people. With an introduction written by Carter Page, former foreign policy advisor to President Donald Trump’s campaign during the 2016 presidential election campaign, this edition frames the findings in a different light than we have previously seen. Some can argue that the investigation primarily targeted Page as a path to President Trump. His private life was utterly disrupted throughout the epic witch hunt by the Mueller investigation, though he ultimately was not accused of any wrongdoing whatsoever. With only the redacted report available, much is left open to interpretation as our country finds itself on a precipice of serious change. Page frames the report with his unique perspective, calling into question the gross abuse of power by the Democratic party, the U.S. Department of Justice, and the operatives who seek to, ironically, obstruct the Constitution themselves. The U.S. Department of Justice is the federal government’s justice administration agency, set with the task to defend the interests of the United States according to its laws by securing public safety against domestic and foreign threats, preventing and controlling crime, implementing justice for guilty parties, and guaranteeing unbiased law enforcement for all Americans. Carter Page, Ph.D. is Founder and Managing Partner of Global Natural Gas Ventures LLC in Oklahoma City and Global Energy Capital LLC in New York. Those businesses have been temporarily derailed due to a multimillion-dollar 2016 smear campaign funded by the Democratic National Committee and their associates, shortly after he volunteered for the Trump campaign’s early foreign policy committee early that year. Following this election interference by political operatives in Washington and abroad, Dr. Page has more recently focused on helping to repair and protect American democracy. His current initiatives include various nationwide legal projects that may eventually assist in restoring the U.S. Constitution, including often forgotten principles such as Due Process and the Rule of Law. Dr. Page has decades of experience as a foreign policy scholar, including a six-year term as a Fellow at the Center for National Policy where he focused on energy and foreign policy issues. He has lectured extensively worldwide and past teaching experience includes service as an Adjunct Assistant Professor at New York University. Dr. Page is a member of the Council on Foreign Relations, where he was a former International Affairs Fellow and Co-Director of the Council’s study group on the Caspian Sea region. In this capacity, he conducted research on economic and investment policy in the former Soviet Union. In addition to multiple tours in Europe and the Middle East as a U.S. Navy surface warfare officer, Dr. Page previously served as the Navy’s working group representative for nuclear nonproliferation policy issues at the Pentagon where he focused on negotiations with Russia. He also initiated and led weekly meetings following the Navy’s selection as lead service for a Joint Staff issue team during an in-depth Department of Defense strategic counterproliferation review. An Eagle Scout and previously a Catholic altar boy, Dr. Page graduated with Distinction from the U.S. Naval Academy where he was a Trident Scholar. He holds an M.B.A. from New York University’s Stern School of Business, an M.A. in National Security Studies from Georgetown University and a Ph.D. from the University of London’s School of Oriental and African Studies. Follow Carter Page on Twitter. This entry was posted in Uncategorized and tagged 360, 360 Magazine, America, carter page, constitution, democrat, Donald Trump, Foreign Policy, Global Energy Capital, Global Natural Gas Ventures LLC, mueller report, Oklahoma City, policy, politics, republican, Tara McDonough, THE MUELLER REPORT: THE COMPLETE AND FINAL FINDINGS AGAINST PRESIDENT DONALD J. TRUMP, trump, Trump campaign, us, Vaughn Lowery on April 24, 2019 by wp360mag. The Anambas Islands are one of Asia’s top five tropical island paradises and one of Indonesia’s first marine conservation areas, a true ocean lover’s dream. 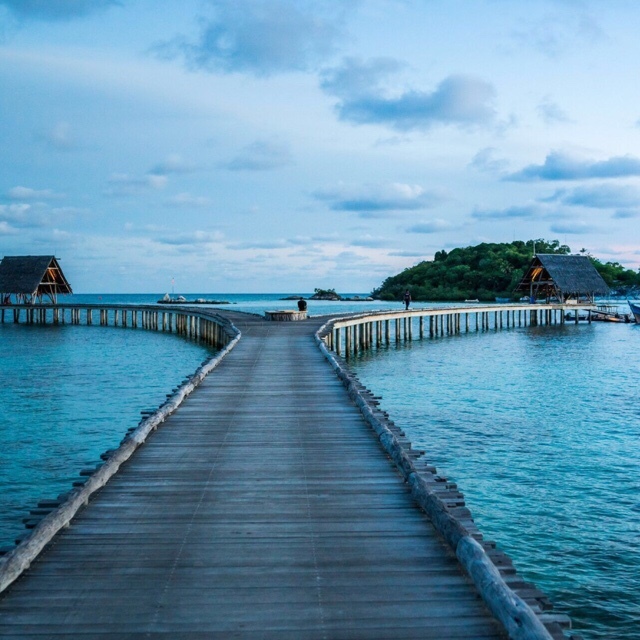 Set amid this archipelago lies the secluded Bawah Reserve, a private island resort surrounded by crystal clear waters, jaw-dropping underwater scenery and stunning marine biodiversity – the perfect combination for ideal diving and exploring. Beyond the breathtaking beauty of the ocean, Bawah Reserve’s dedication to marine conservation gives divers a unique insider view of coral regeneration and transplantation efforts. With twelve dives sites and six reefs, guests have access to miles of pristine coral formations which create diverse and dramatic underwater landscapes to harbor high levels of marine biodiversity. All dives, aside from the Refresher’s Dive, are outside the fringing reefs of Bawah. Here the waters are slightly cooler, the currents are a bit stronger and the fish are a bit bigger, offering a larger variety of wildlife and coral different than what is found inside the lagoon. Among other creatures, guests can look forward to greeting Bumphead Parrotfish, Emperor Angelfish, Eagle Rays, Green Turtles and the rare Blue Starfish. Harnessing its deep connection to the ocean, Bawah Reserve has teamed up with Discover Scuba Diving and Asia’s leading PADI 5-star Instructor Development Center, OrcaNation, to create unique diving experiences ensuring guests fall deeply in love with the ocean and its wildlife. Under the guidance of dedicated ocean experts, guests can take up to 5 excursions per day from morning, afternoon to night, offering a new experience every time. Bawah Reserve offers the perfect diving experience for every type of explorer. First time divers can take an entry level training session designed to learn the basics, certified divers have a ‘refresher’ course to brush up on their skills, advanced explorers can test their limits with a unique 3-part Dive Rescue Course, and for the youngest of divers there is a PADI Bubblemaker Program to introduce them to the concepts of scuba diving. As an eco-conscious destination, the Reserve’s Bawah Anambas Foundation leads an initiative to educate and train communities and guests on coral reef protection and restoration efforts, including actively re-growing and transplanting the archipelago’s coveted coral. 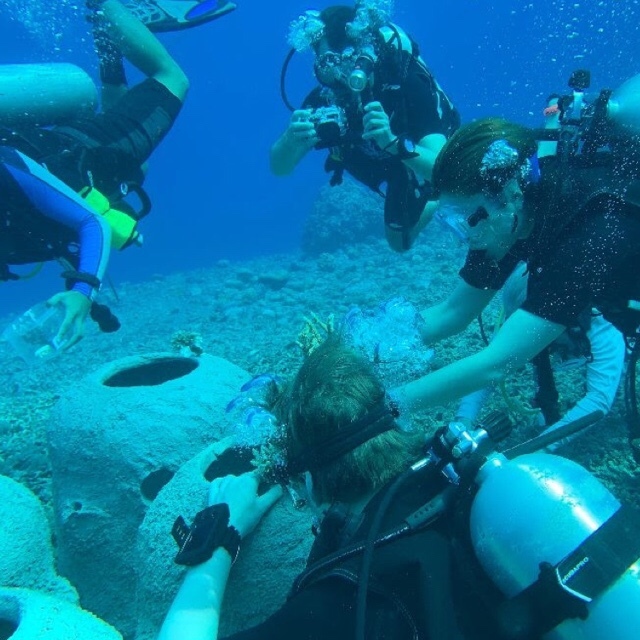 Even more, guests at Bawah Reserve have the opportunity to see these conservation efforts up close by taking their very own diving excursions to the coral nursery, guided by a resident marine biologist. In addition to their new scuba series and coral conservation programs, Bawah Reserve offers a number of bucket list, ‘Instagram worthy’ activities, including stand up paddle boarding, see-through kayaks, snorkeling, sailing and hiking trails through and around the lush Indonesian jungle. Bawaha Reserve’s deep-rooted belief in conservation, coupled with their sense of adventure, provides truly exhilarating exploration and diving experiences families and guests will look forward to revisiting and remember for a lifetime. For more information on Bawah Reserve, please visit www.bajahreserve.com. This entry was posted in Travel + Food and tagged 360 Magazine, Blue Starfish, Bumphead Parrotfish, Diana Macaraeg, Discover Scuba Diving, Eagle Rays, Emperor Angelfish, Green Turtles, Indonesia, Instructor Development Center, OrcaNation, Refresher’s Dive, underwater, Utopia, Vaughn Lowery on April 24, 2019 by wp360mag. We’ve got a destination for you to consider: Israel. As the years pass by, you start to recognize the value of traveling together and there is no better way to bond than a mother-child trip. Historical sites, delectable cuisine, and stunning scenery make Israel the perfect destination to celebrate this Mother’s Day. What to Do: Israel’s rich history provides travelers with limitless sites to see, and attractions to experience. Whether you’re a shopaholic looking to splurge this Mother’s Day, or a beach bum in desperate need of a vacation, Israel has it all. Neve Tzedek – Treat your Mom to a shopping spree this Mother’s Day in one of Tel Aviv’s oldest districts, Neve Tzedek. The small, narrow streets of the district have become increasingly fashionable due to restoration works that have commenced in recent years. Rather than simply buying your mother a gift this holiday, indulge in a shopping experience together and explore the unique boutiques, design shops and other captivating shops Neve Tzedek has to offer. Gordon Beach – For the mothers who need a break from work and family responsibilities, relax on one of Tel Aviv’s most popular beaches, Gordon Beach. The white, sandy beach that stretches alongside the most modern promenade in the country has an outdoor gym, volleyball courts, surfing, windsurfing, kayaking and a plethora of beach side bars and restaurants to choose from where mothers and daughters can unwind and let loose. Hidden Tunnels – The mysteries and underground worlds of Israel are waiting to be discovered by Mother’s who are consumed by wanderlust. Visit the top four hidden underground tunnels – Western Wall Tunnels, Hezekiah’s Tunnels (also known as Siloam Tunnels), Herodium National Park and Rosh HaNikra Grottoes – to peek into life during ancient times. 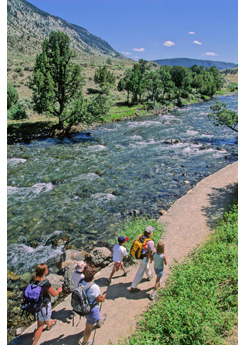 This will be an unforgettable Mother’s Day for those who are truly looking to go off the beaten path. 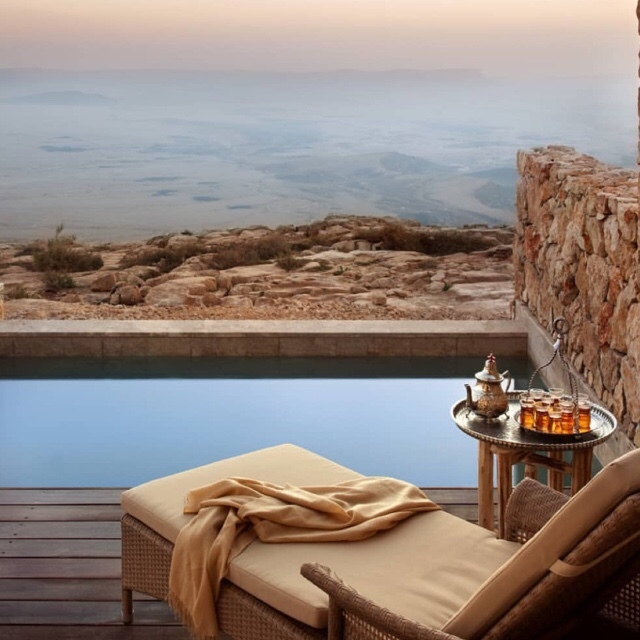 Where to Stay: Israel is home to many highly-ranked hotels, offering guests relaxing and luxurious stays that cater to any type of vacationer. Budget: Dan Panorama – The Dan Panorama Hotel offers easy access to everywhere you want to be. Across the street is the Mediterranean Sea and within minutes you find yourself on an inviting sandy beach with warm and clear waters. With a huge pool and sundeck, premium leisure-time facilities and dining options, as well as all the dynamic and sophisticated attractions of Tel Aviv on its doorstep, the Dan Panorama Tel Aviv is perfect for a mother-daughter weekend trip on a budget. Spa: Carmel Forest Spa Resort – The Carmel Forest Spa Resort is the ideal getaway for mothers who need to escape stress and relieve tension. SpaFinder named the secluded 126-room resort the Best Spa in the Middle East several years in a row. The spa offers more than 70 body and beauty treatments such as massages, balance and release therapies, seaweed wraps, stone therapy, Reiki, Shiatsu, Healing, and Ayurveda. No guests under 16 years of age or mobile phones are permitted – making an exceptionally quiet and peaceful atmosphere for mothers to tap out of reality for a while. Luxury: Mamilla Hotel – Moms can take a break from cooking this Mother’s Day because Mamilla Hotel Dining has something for everyone. Rooftop Outdoor Lounge & Restaurant sits high above the city with a panoramic view of Jerusalem’s Old City. Happy Fish is a Mediterranean inspired fish restaurant overlooking Mamilla Avenue. You can eat in the harmonious ambiance of the ballroom for breakfast, lunch and dinner, and then head over to the mirror bar to bask in Jerusalem’s sophisticated nightlife scene. Coffee lovers can indulge in gourmet coffee at the espresso bar, while wine experts can raise their glasses at the winery. This entry was posted in Travel + Food and tagged 360 Magazine, caramel forest spa resort, Dan panorama, daughter, destination, Diana Macaraeg, gift, girls, Herodium National Park, Hezekiah’s Tunnels, hidden tunnels, ideas, Israel, luxury, mamilla hotel, middle east, Mother's Day, Neve Tzedek, resort, Rosh HaNikra Grottoes, Siloam Tunnels, Spa, tel Aviv, trip, vacation, Vaughn Lowery, Western Wall Tunnels on April 24, 2019 by wp360mag. 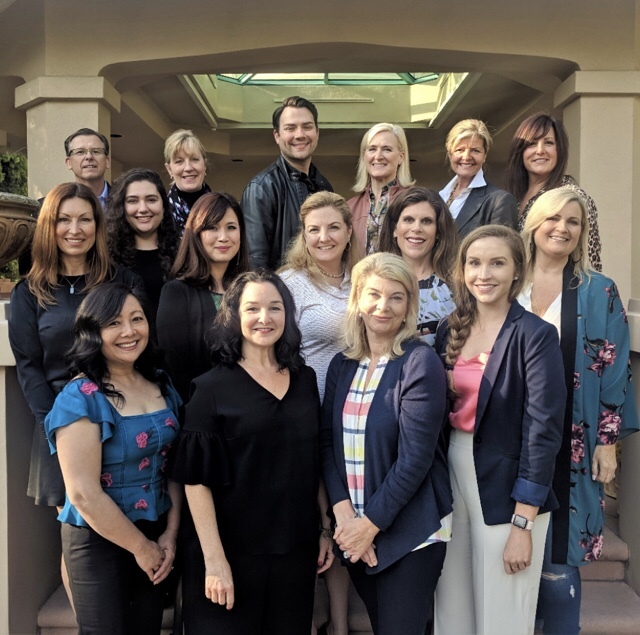 Five Acres invites the community to join them for a spectacular evening in support of vulnerable children at their Desert Oasis Gala on Saturday, June 2, 2019 in Pasadena. Hosted at the home of Jennifer and Shawn McCreight, this year’s event spotlights the Southern California we call home and will include a cocktail reception, gourmet meal, live DJ, tempting auction items and special touches like the “5A Lemonade Stand” with unique raffle prizes. The gala follows on the heels of National Foster Care Month this May, with more than 20,000 children in Los Angeles alone in need of loving, permanent families. All proceeds from the evening will fund Five Acres’ critical work in foster care, adoption and mental/behavioral health services for more than 9,700 kids and families served annually by the nonprofit. All of six of Five Acres’ 2018 gala sponsorship committee chairs have resumed their roles with Kirsten Hansen and Matt McIntyre as co-chairs; Natalie Bazarevitsch and Don Boline as opportunity co-chairs; and Shoshana Puccia and Kris Ordaz as auction co-chairs. Actor and director Sarah Drew (“Grey’s Anatomy,” “Everwood”) will lend her support as guest emcee. Guests at Desert Oasis will also have a chance to win a chance to see more of the world with fantastic live auction items including stays in Cabo San Lucas, Mammoth, Paris and even a private yacht trip in Ventura. Sponsors for the event include an anonymous Palm Springs Sponsor; Wells Fargo and Rusnak Auto Group as Paradise Sponsors; Los Angeles County Supervisor Kathryn Barger and Comerica Bank as Indian Canyon (Tech) Sponsors; and Outlook Newspapers and Pasadena Now as print and digital media sponsors, respectively. Individual tickets, sponsorships and underwriting opportunities for the gala are available now. Visit 5acres.org/gala or contact Five Acres at events@5acres.org | 626-773-3776 to learn more. 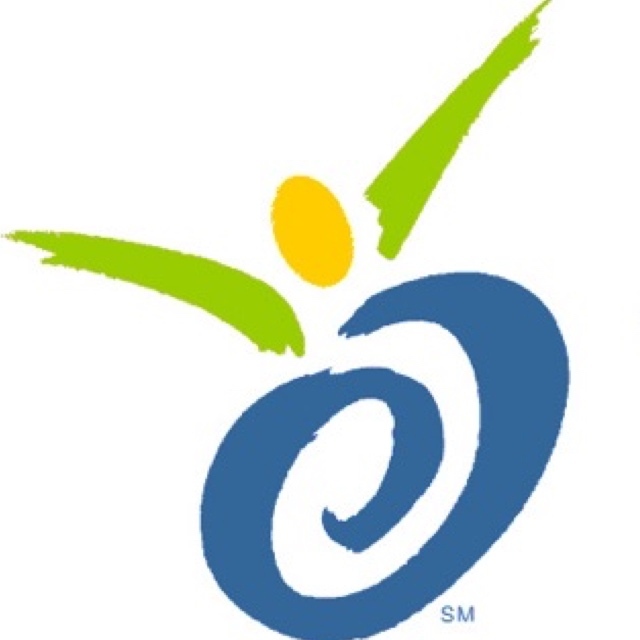 This entry was posted in Uncategorized and tagged 360, 360 Magazine, Auction, Desert Oasis, Desert Oasis Gala, Five Acres, gala, Madison Smushkevich, tickets, Vaughn Lowery on April 23, 2019 by wp360mag. The warm weather is finally here to stay, which means you’re probably looking for new ways to cool off quickly. Incorporate this chill Iced Coffee CBD Protein Shake the next time you’re looking for a quick and easy cooldown, created by CBDistillery. Interested in how many mgs of CBD there may be in this shake? There is approximately 195 mg in 1/8 of a teaspoon. This specific recipe is for four servings, so about 50mg per serving. 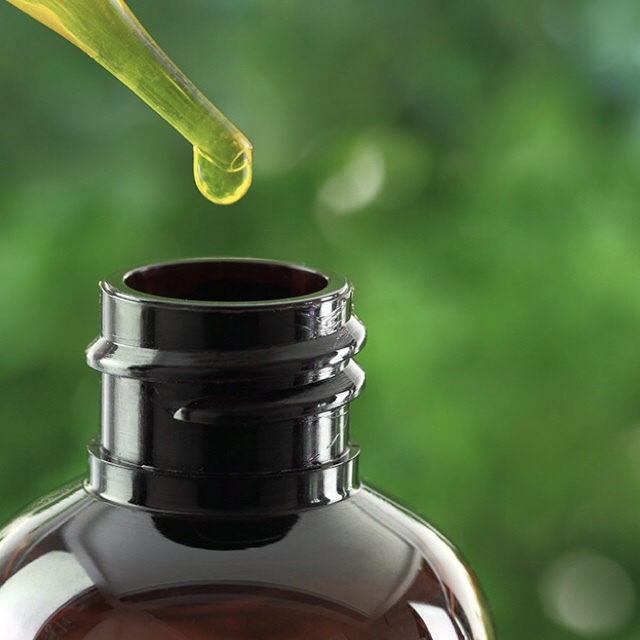 *Disclaimer* the amount of CBD added can be varied based on an individual’s needs. This entry was posted in Health and tagged 360, 360 Magazine, CBD oil, CBDistillery, cooking, Iced Coffee CBD Protein Shake, Madison Smushkevich, recipes, Vaughn Lowery on April 23, 2019 by wp360mag. Travel trends drive travel experiences. Identifying a growing desire for maximum individualization and flexibility in vacations, veteran tour operator Austin Adventures has launched a new vacation option: a complete travel concierge service for those who want it “their way” — down to literally sitting in the driver’s seat if they’d like. Austin Concierge is a brand new offering from the leader in global multi-sport adventures. Its target audience is the seasoned independent traveler who would like to vacation at his or her own pace, with his or her own friends and family. 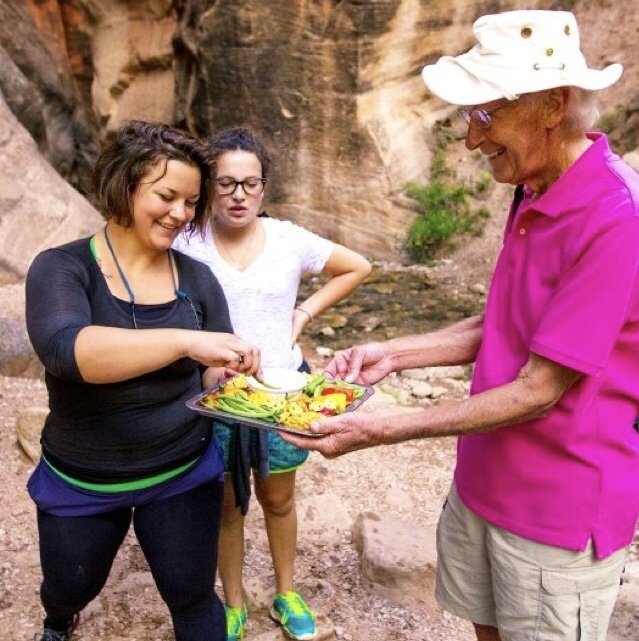 Austin Adventures is known for its small group tours and its ability to execute fully-guided custom trips as simple or imaginative as desired. Austin Concierge is one more way the company is seeking to make the most of their guests’ vacation time. Your itinerary is then handed off to you with all the detailed logistics and support materials. You depart on the set date and enjoy your finely-crafted itinerary. Austin Adventures is a phone call away for any needed support during your trip. Vacations exploring the National Parks of the West are a signature specialty of Austin Adventures, but this new concierge service is not limited to just the US. The company prides itself on offering programs on all seven continents. See the newly enhanced and improved website and Austin Adventures Home Page for a list of all the destinations served. Travel Agents are also welcomed and encouraged to book their clients on Austin Concierge self-guided tours with Austin Adventures. Net prices will be quoted with room for agent adjustments. For more information, questions and help planning an Austin Concierge itinerary, please call 1.800.575.1540 or email info@austinadventures.com. For a full roster of Austin Adventures’ 2019 trips, cruises and distinctive accommodations on seven continents please visit www.austinadventures.com. To access the 2019 digital catalog or order a print copy, go to: www.austinadventures.com/request-catalog/. Austin Adventures is a two-time Travel + Leisure Magazine World’s Best Award Winner and a Virtuoso Preferred Tour Operator. This entry was posted in Travel + Food and tagged 360, 360 Magazine, Austin Adventures, Austin Concierge, digital catalogue, Independent Traveler, intinerart, Madison Smushkevich, travel, vacation, Vaughn Lowery on April 23, 2019 by wp360mag. Get it HERE via Astralwerks. Backed by a throbbing bass line, thick beat, and spacious synths, the track builds off a booming groove with unapologetic grit befitting of the lyrics. The verses gallop forward towards a hypnotic and head-turning hook that’s as punchy and powerful as the production is. It stands out as a real, raucous, and raw anthem primed to pop off from the darkest corners of dance floors worldwide. Already, it has clocked over half-a-million Spotify streams. Meanwhile, the recently released music video centers on a claustrophobic close-up with facial motions in tune with the drops and drips of the tune itself. on the lookout for more very soon. 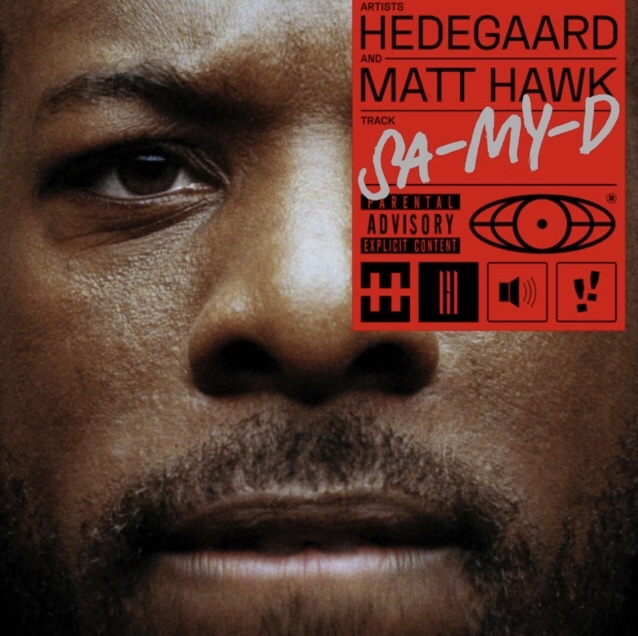 With over 200 million streams, multiple platinum certifications, and numerous awards to his name, HEDEGAARD remains one of Denmark’s hottest exports and holds a place among its top music talent. 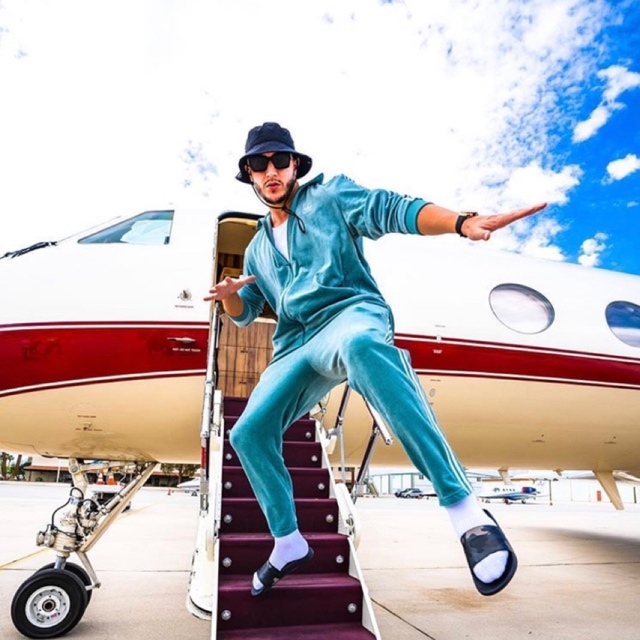 He went from putting up numbers with high-profile remixes for Snoop Dogg and 50 Cent to crafting hits of his own such as “Happy Home” featuring global superstar Lukas Graham—certified triple-platinum in Denmark and Norway and platinum and Sweden. Not to mention, he has received honors at the Club Awards and Danish DeeJay Awards. Now, “SA-MY-D” kicks off what promises to be his biggest and best year yet around the world. 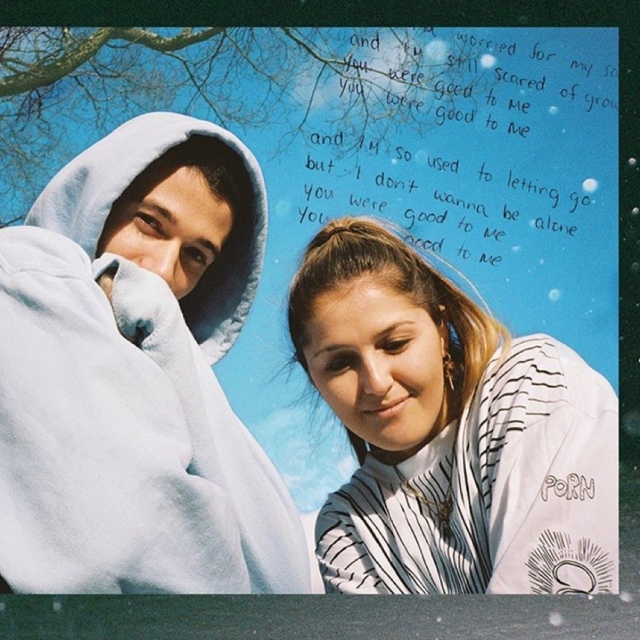 This entry was posted in Uncategorized and tagged 360, 360 Magazine, apple music, Astralwerks, HEDEGAARD, iTunes, Madison Smushkevich, Matt Hawk, SA-MY-D, single, spotify, Vaughn Lowery, vevo, YouTube on April 23, 2019 by wp360mag.